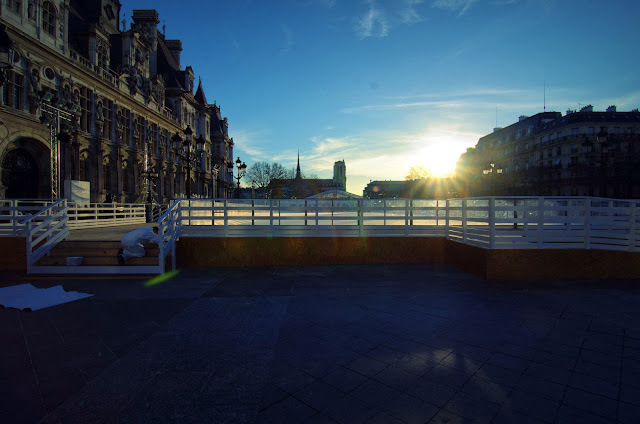 ParisDailyPhoto: The ice rink opens today! That's a lovely shot -- such a deep blue sky. And the sun at that angle. Happy skating! A lovely rink, and just the right time of day to capture it. Walking, biking, ice skating...It's all wonderful in Paris. It really is a nice rink. They even have a Zamboni type machine to resurface it. A lot of temporary outdoor rinks don't. I love to skate outdoors. Only you would know about the machine that resurface it Stuart!! I want to skate THERE!